The board of directors of Premier Leasing & Finance Limited at its meeting recently re-elected Engr. 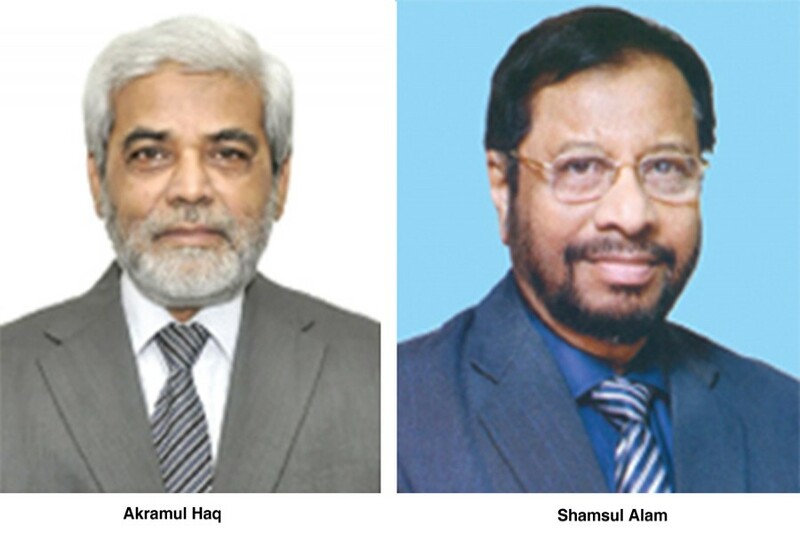 A Z M Akramul Haq as the executive committee (EC) chairman and AKM Shamsul Alam FCA as the audit committee chairman of the company, according to a statement. Engr. Haq is the managing director of Contech Engineering & Trading Ltd., Multilink Technical Services Ltd., and partner of TECHNO-CON. He is a sponsor director of Premier Leasing & Finance Limited, Premier Leasing Securities Limited and director of Premier Leasing Securities Broking Limited. Engr. Haq is a life fellow of the Institution of Engineers, Bangladesh (IEB) and Bangladesh Society of Mechanical Engineers (BSME) and Association of Naval Architects & Marine Engineers, Bangladesh. In 1985, he became an associate of the Royal Institution of Naval Architects (RINA) and Member of the Society of Naval Architects & Marine Engineers (SNME). Haq was born at Dewanganj, Jamalpur in 1953. AKM Shamsul Alam FCA is working as the chairman of the Institute of Share Research & Training and independent director of Premier Leasing & Finance Limited and Premier Leasing Securities Broking Limited and editor of Share Research (a magazine on capital market since 1998). He is a fellow of the Institution of Chartered Accounts of Bangladesh (ICAB) and Senior Partner of Syful Shamsul Alam & Co. Chartered Accountants. He was a member of government committee headed by the chairman of BSEC for making a policy of Revaluation of Assets & Liability of Government Companies to be listed with stock exchanges. He worked as consultant Auditor of AAA Consultant & Financial Advisers (a Merchant Banker) for the year from 2001 to 2005 for scrutinizing IPO & right share issue related risk & preparation of documents. Mr Shamsul Alam FCA was born in 1948.